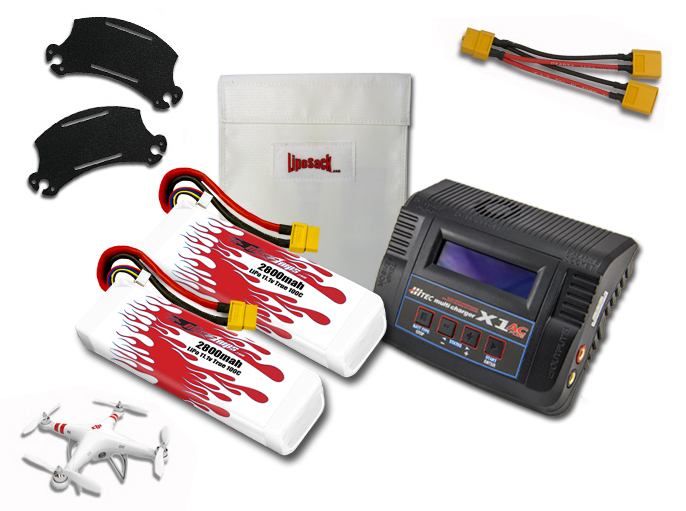 Kit includes everything you need to fly two packs on your DJI Phantom or Phantom FC40! This upgrade for the DJI Phantom and Phantom FC40 Quadcopter will maximize your power and flight time. For example, if you have two 2800 11.1V packs, you would now have a 5600 11.1V setup.